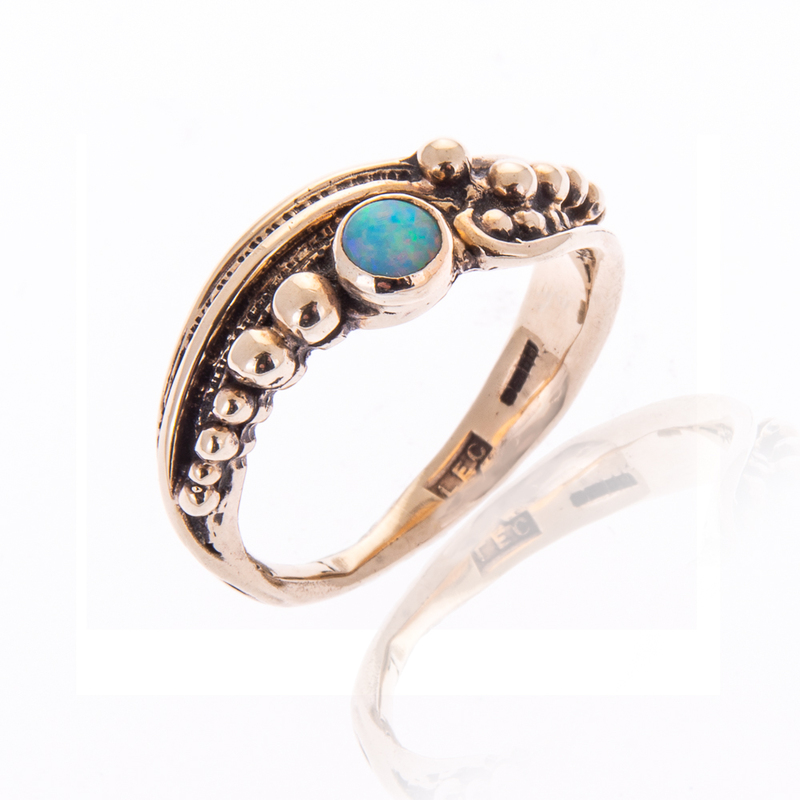 9ct yellow gold ring design style ‘Deco’ set with opal. Available in any size. Carries the full UK hallmarks.